My husband and I have a nightly routine that includes reading our devotional and “random Bible readings.” Reading the Bible is important for everyone but also very important for couples. Getting closer to God on a personal level can help you in your relationships. Since my husband and I started going to church our marriage is better than it was when we started dating. My husband has a wealth of knowledge when it comes to the Bible. He has read it multiple times front to back. I know I can always go to my husband for answers when it comes to scriptures. That is why I love reading the Bible with him. If I am confused or uncertain about the meaning of a verse I always ask him. What are “random Bible readings” and how does it work? 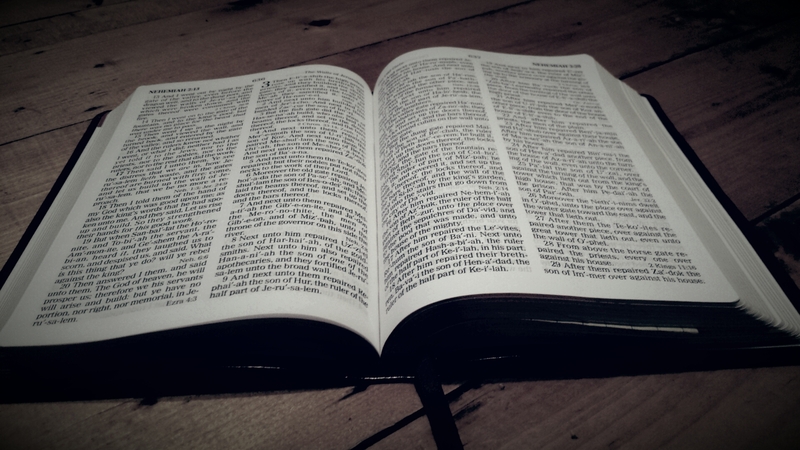 Each night after we read our devotional my husband will hand me the Bible (he says ladies first). I then run my fingers across the pages and open the Bible to see what book I chose. Our rule is whatever verse our eyes land on first is what we read. Then my husband and I discuss what the scripture is about. We each choose one. This is a special time for us because we are able to spend time together while growing closer with the Lord. If you want to incorporate faith and the Bible more in your relationship to become closer to the Lord you should try this nightly routine. You will be amazed at how much you learn and how much it can help your relationship.